Amethyst is often referred to as a “Master-Healer.” It is similar to the Quartz crystal as it can be used for many physical, emotional and spiritual healing treatments. 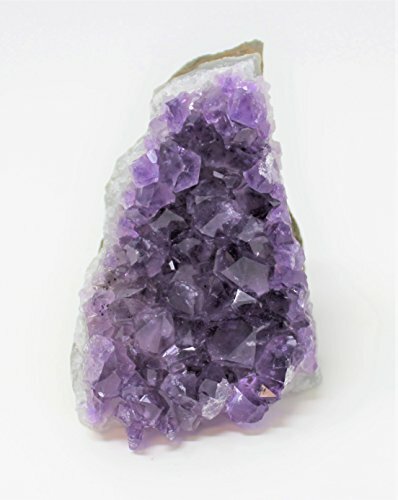 The amethyst healing properties make it exceptional for the healing of all living things – people, plants and animals. A major advantage of amethyst is it’s properties of personal protection and the way that it repels all negative energies. 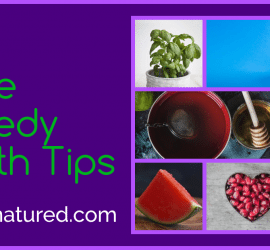 For example, if you have a space in your garden where plants will not grow,or are weak and sickly, place an Amethyst crystal or geode cluster in the area. You will soon see your plants respond and the soil seemingly becoming fertile again. Do the same if you ever notice a spot on your property where animals refuse to go, or refuse to sit. 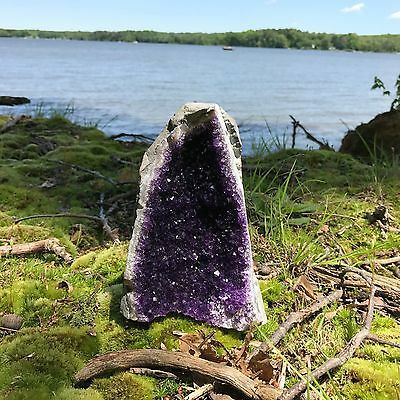 Again place Amethyst crystals in this area. It won’t be long before you notice how your pets have forgetten about this once “no-go-zone”. Amethyst repels negativity. It is a stone of personal protection. The Amethyst vibrations and energies protects us against psychic attack, paranormal harm or the ill wishes of others. It does not allow these energies to impact upon you and sends these negative energies back to the universe. Amethyst is a wonderful crystal for those involved in the creative arts. It assists creative thought and provides positive energy to personal endeavors where new and original results need to be created using methods and tools of the past. 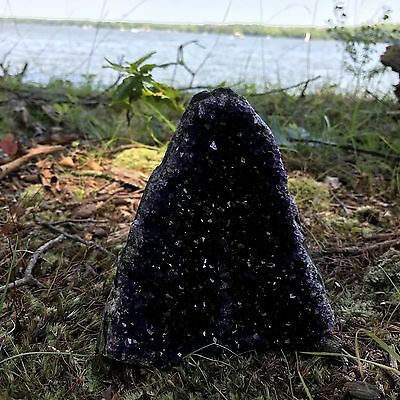 Keeping an Amethyst crystal or cluster in the area where you practice or work with your creativity will help to focus and positively amplify your creative energies. Amethyst Healing Properties – The Crystal For Calm – Superb For Sensitives. This is because the Amethyst crystals vibrations are those that calm and soothe. They assist the transmission of neural signals throughout the brain. 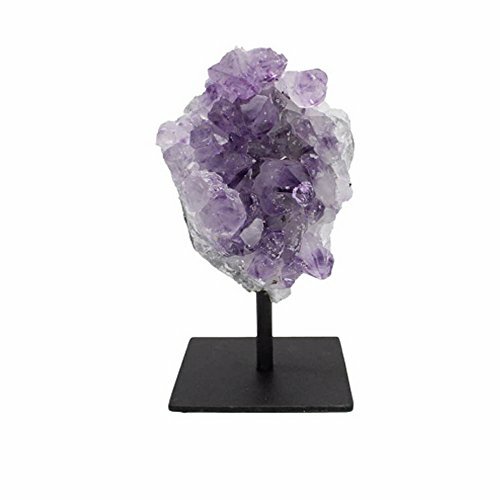 The Amethyst helps to relieve traits associated with obsessive compulsive disorder and can calm hyperactivity in children. To use simply place under your pillow, mattress or bed. 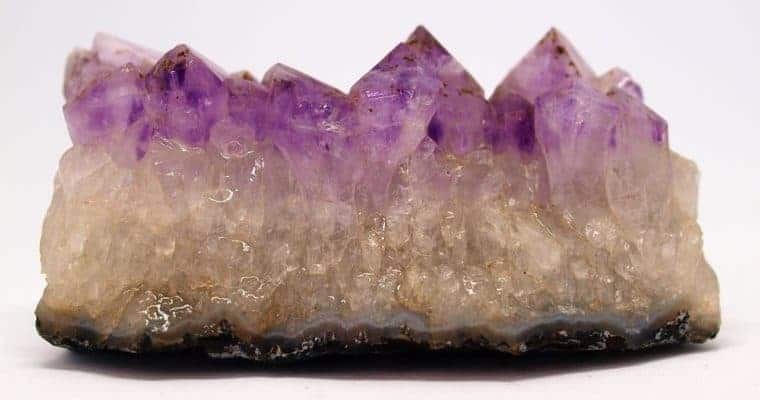 Rubbing a smooth Amethyst crystal on the center of the forehead in a counter-clockwise direction helps to cure insomnia and stimulates pleasant dreams. This is an especially effective remedy for children’s recurring nightmares and to soothe their fears of the dark! Amethyst should be in the pocket or briefcases of every diplomat, negotiator and business person! 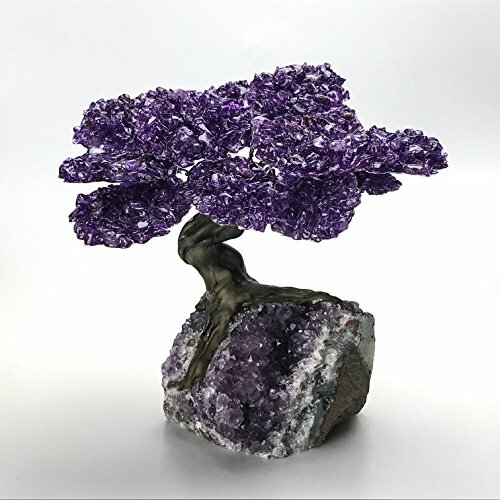 We know Amethyst energy soothes and calms – it is therefore an excellent for calming angry temperaments, soothes heated emotions and gives the carrier a distinct advantage in situations where debate and discussion is required. Wear or hold the Amethyst crystal to bring both spiritual insights and intellectual reasoning. Amethyst connects to the Temperance card in the tarot which represents “Balance”. It is a crystal dedicated to helping curb overindulgence and to break our bad habits. It is an excellent aid for those wishing to quit smoking, drinking and drug use. It can also help to curb any unhealthy physical passions. Amethyst provides us the strength needed to gain freedom from addictive personalities, whether that is our own or somebody else. Amethyst is also known as the stone of “Saint Valentine” and represents all faithful lovers. It is said that Saint Valentine wore an Amethyst ring which was engraved with the image of Cupid. The Amethyst is also an excellent “couple’s stone”. Its energies help to consolidate, build and develop a deeper union. This is what gives meaning to relationships. 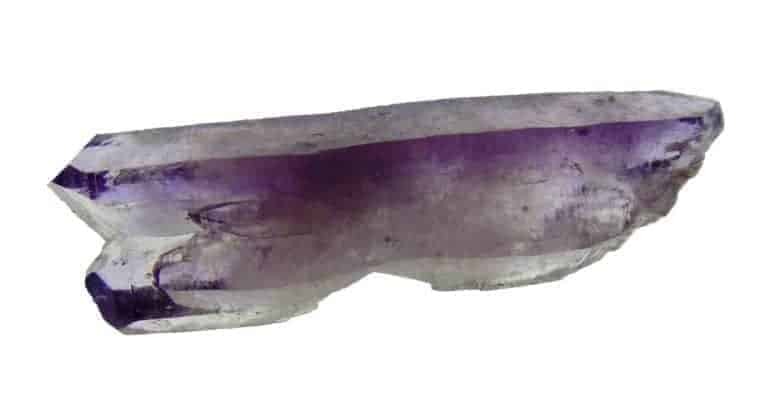 The amethysts energies help us to move beyond carnal union and deeper truer connections are made with more soulful communications. Wear Amethyst as an engagement or eternity ring for fidelity. Wearing Amethyst as a locket and embedded with intent can call back lost love. Amethyst has excellent healing properties which help with physical ailments and emotional issues. It is a must have crystal for Energy Healing and Chakra balancing. Amethyst crystals are primarily used as therapeutic tools for physical ailments related to the nervous system and the curing of sleep disorders such as nightmares, night terrors and insomnia. Amethyst healing properties also aid the balancing of Sahasrara the Crown Chakra. The healing and therapeutic uses of Amethyst crystals have a long and well-documented history. Amethyst boosts the production of hormones and stimulates our sympathetic nervous system and endocrine glands to help us achieve optimal performance. 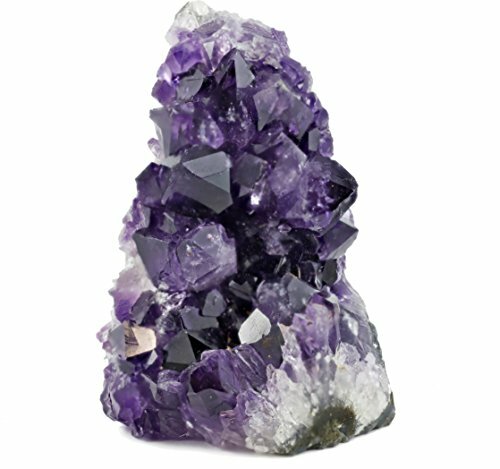 The Amethyst crystals also supports oxygenation in the blood and aids treatments of the digestive tract, heart, stomach, and skin. It is well known that Amethyst strengthens our immune system. They are also excellent crystals for the reduction of bruising, acute pain and swelling. The Amethyst has been used for centuries, and with excellent results, as a treatment for arthritis. It is also said that Amethyst crystals help relieve the symptoms of tinnitus and other hearing disorders. Most well known is the Amethyst healing properties for treating insomnia, especially when this is caused by an overactive mind. 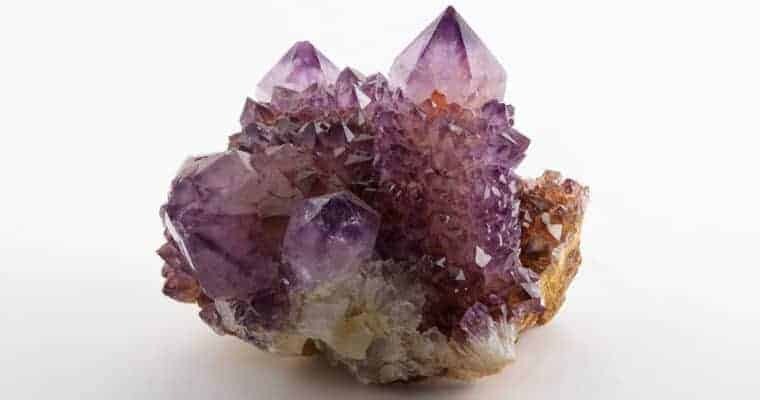 The Amethysts vibration is extremely calming and soothing and therefore has great impact on calming the neural impulses in the brain. Its energy and vibrations also relieves and reduces the pain caused by headaches and migraines, and reduces stress and nervous tension. Amethyst is especially linked to aiding our emotional body and helps to bring those who are overworked, stressed and overwhelmed back to balance and grounded center. Amethyst eases our mental anxieties and therefore prevents mental anguish becoming physical tensions and headaches. It is also a great crystal to calm those who tend to be hot-headed and easily angered. Amethyst doesn’t just help us eliminate physical or emotional symptoms it also helps us identify the underlying or “root” cause that are behind our negative behaviors, habits and emotional patterns. Amethyst allows us to see the factors which create imbalance in our lives and which left untreated lead to disease. 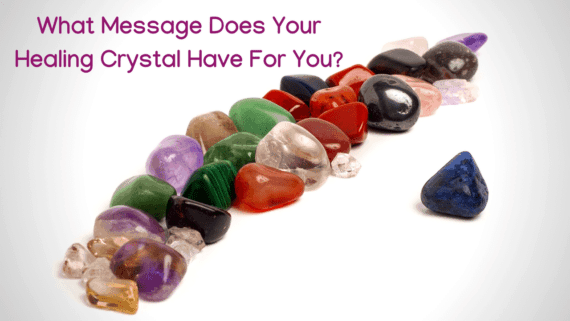 Amethysts vibrations allow us to recognize the “cause and effect” in our behavior. This assists us in making better life decisions. Amethyst provides us stability and accessing of wisdom. This leads to greater understanding. Therefore Amethyst is a wonderfully comforting crystal for those who are dealing with grief such as the loss of a loved one. 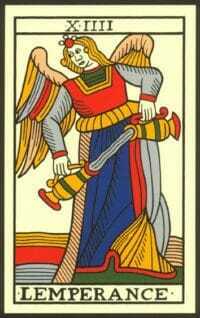 Its presence helps us to understand, and gain some comfort in the knowledge, that there is no death. There is only transitioning of energy and changing of form. The amethyst enables us to express our emotion and encourages the release of sorrow. Amethyst is an ideal crystal to hold or meditate upon during times of grief, or when you need to feel and express true raw emotion. Amethyst has a high vibration energy pattern and is particularly stimulating to our Third Eye, Crown and Etheric Chakras. Ajna our Brow Chakra, or the Third Eye Chakra, is our perception center. It directs our intuitive sight and our awareness of the world around us. When the Third Eye Chakra is balanced and aligned our thoughts and internal communication is healthy and vibrant. We open ourselves to possibilities and to new ideas. We allow ourselves to focus on our dreams and vision for the future. With a balanced and healthy Third Eye we can detect blockages in other Chakras and control the flow of energy via meditation and visualization to clear,cleanse and balance these chakras. The dark blueish purple crystals of the indigo amethyst are used to treat imbalances of the Third Eye Chakra. The Amethyst radiates energies of mystery, wisdom and judgment. 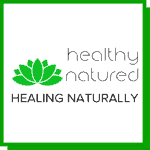 Sahasrara the Crown Chakra is located at the top of the head. It is our gateway to the universe beyond our physical body. 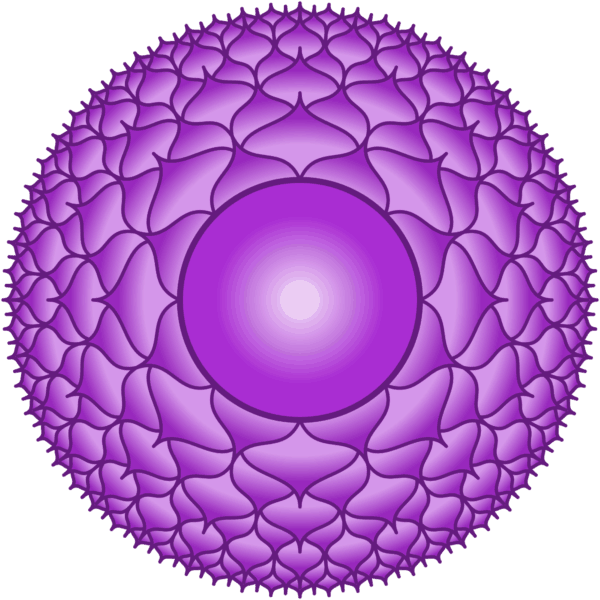 Sahasrara controls how we think and how we respond to the world around us. It is the place where our beliefs form and is the source of our spirituality. It connects us to the higher universal planes of existence and is the source of universal energy and truth. When our Crown Chakra is in balance,then all of our energies are in balance. We are confident of our place in the universe and we see things simply and clearly exactly as they are. When Sahasrara is in alignment and balanced we are not phased by minor setbacks. We accept them as an essential part of life and learning. Imbalances within the Crown Chakra are treated by light violet amethyst crystals. Their violet rays have the universal life force enabling us to reach for and achieve our dreams, they enable inspiration, a belief in the magic around us and that we can and will and must strive to achieve our destiny. Amethyst is a crystal of spiritual protection and personal purification. It helps to cleanse our energy field of all negative influences and attachments and creates a protective shield of spiritual light around the body. 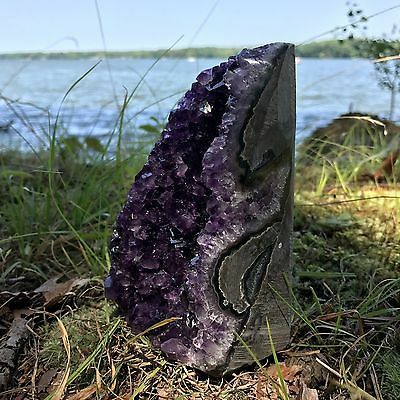 Amethyst energy acts as a spiritual and vibrational barrier against lower energies, psychic attack, geopathic stress and unhealthy environments. 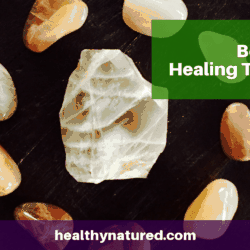 It is an incredibly useful crystal for protection if you are involved in psychic or intuitive work, and enhances your personal environment with its healing and protective light. Amethyst is probably one of the best crystals to use in meditation. The amethyst color stimulates the Third Eye higher vibrations. By placing an Amethyst crystal directly over the third eye brings a serene meditative state. You will notice the fading of conscious thought as your mind is guided toward deeper contemplation and gathers universal understanding. The Amethyst energy encourages us to be humble and surrender ourselves to the energies of the universe and the divine. 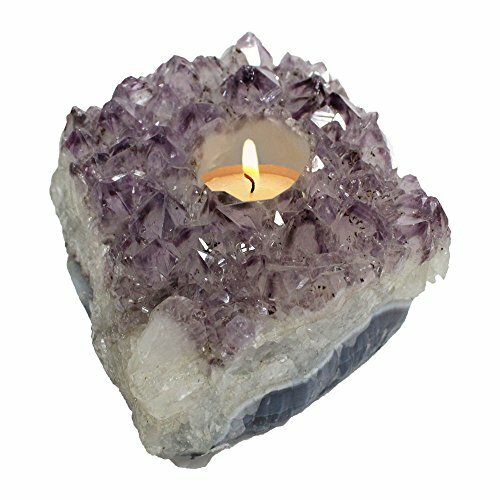 To use Amethyst in meditation. Hold a single Amethyst crystal, or a small cluster in the left hand , with the termination pointing up your arm. 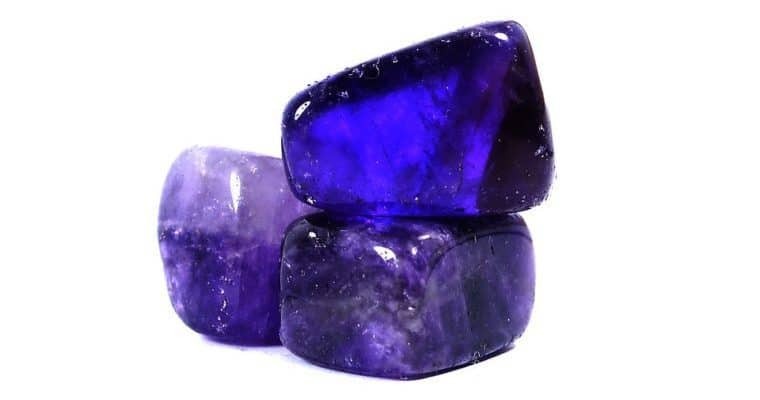 This will draw the Amethysts energy into your body. 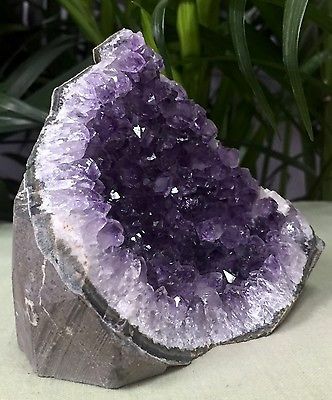 Large clusters or geodes of Amethyst are perfect for placement on meditation altars or as focus objects to help center the mind and create calm. Amethyst can be placed at the North-East point on a crystal medicine wheel. 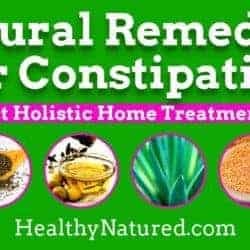 This aids personal healing and the balancing of life. The north-east is the point of choices. By meditating in a north-east direction facilitates the decision-making process and brings in spiritual guidance. Therefore decision can be reached based on common sense and realistic goals but also with the chance for dreams to be achieved. Amethyst encourages new and creative ideas. It also helps to balances out highs and lows of emotions and enables spiritual centering. 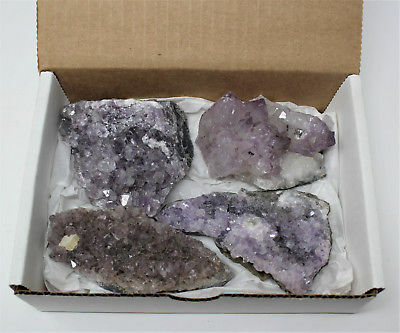 Place Amethyst Clusters or Geodes in the corners of your home. This will protect you, your family and your environment from all negativity. Add Amethyst to a crystal grid when you feel stuck or need change. This is also very useful if you need encouragement and assistance moving through difficult periods of change. Place a piece of Amethyst under your pillow to cleanse your energy overnight, to stimulate your intuition, and to encourage your personal healing abilities. Improve physical eyesight and intuition by gently gazing into an Amethyst orb. Make a healing Amethyst elixir. Simply place amethyst crystals in a clear glass container and fill with water. Let this “rest” for an hour and then sip throughout the day. This will help balance your physical and emotional bodies. Wear Amethyst to surround yourself and fill your aura with it’s healing, spiritual and cleansing powers. 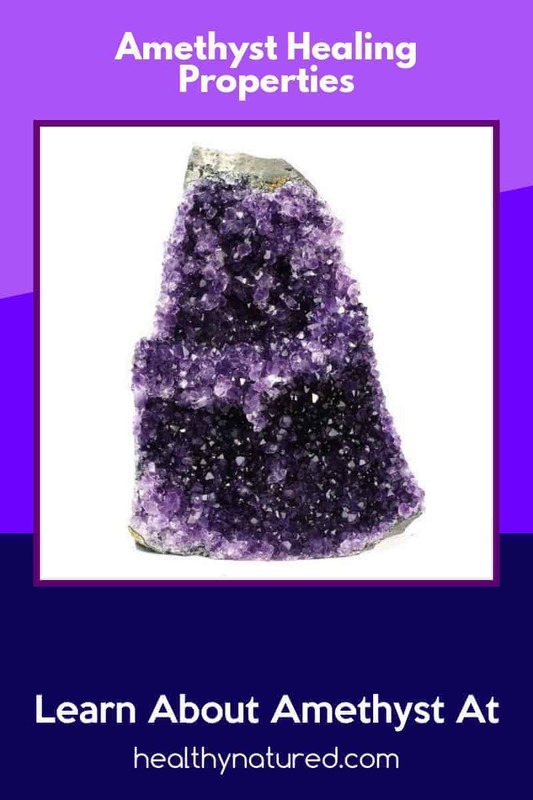 Place other crystals on an Amethyst cluster. This cleanses them of negativity and energizes them for use.